Our carers are our best resource and share a passion and depth of knowledge and wealth experience in childcare. Nearly all our staff have dedicated childcare qualification and all participate in Giraffe’s ongoing professional development program led by experienced trainers and facilitators. Each centre has a manager and a deputy manager, both of whom are supernumerary, which means that they’re not included in the child to carer ratio, and their role is to support our team and help them to deliver the very best childcare. In addition each centre also has (depending on it’s size), one or two supervisors whose role is to support our management team and to develop practice in our crèches. There’s always a qualified first aider on hand at all our crèches at all times to deal with those every day bumps and scratches. I would like to say that since I took on the role of supervisor at Stepaside, I work hard every day to help the staff and the managers as well as being the best educator I can be for the children and parents. I am very thankful because every day I have the opportunity to work with children, supporting their interests and having management support all the time. Giraffe is a company in which you can take your career to the next level and work with amazing colleagues! We’re really proud of our team and would love to show you around so that you get a sense of what we do at Giraffe. Why not arrange a visit and see for yourself. As a crèche manager, no day is ever the same!! 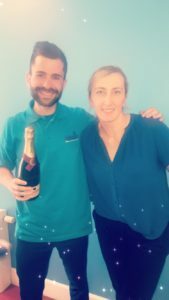 You are always on the go, educating and caring for the children, making sure all the team is working together, meeting new parents, attending professional development training, and dealing with the daily demands of a busy centre. The children make every day worthwhile as they are also so keen to share their news, call your name and give you a hug. The Area Support Managers each support seven crèches and visit them weekly, working closely with each crèche’s manager and team to deliver high quality childcare. Our cooks are very important members of the team, cooking delicious lunches, snacks and teas for all our children, as well as holding regular cooking sessions with the children. HR lead on our recruitment and retention of staff and work with local colleges to ensure that we recruit the very best talent from the childcare colleges. They also provide support with practitioner inductions, review meetings and career path planning. All our crèches and outdoor play areas are all well maintained and safe for our children and staff, keeping everything bright, fresh and clean. Dearbhala joined us in July 2014 and leads our Childcare and HR team. Dearbhala brings a rich and diverse set of skills with over twenty years experience of childcare and early years in the private sector, public and not for profit sectors. Suzanne joined us in 2002 as a practitioner, becoming a crèche manager in 2004 and has grown with us to become an area support manager since 2006. 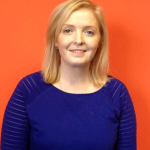 She is a specialist in care standards and regulatory requirements and a mum of three. 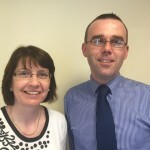 Debbie joined Giraffe in 2005, and has been a manager at both our Liffey Valley and Clonsilla centres. After recently completing her Degree in Early Childhood Care and Education, Debbie has taken on the role of area support manager. 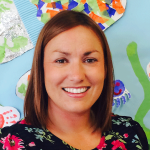 She has extensive experience in the sector and is passionate about childcare and working with the Centre mangers to deliver high quality childcare. 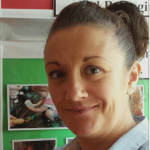 Andrea joined Giaffe in 2002 as a practitioner, became a crèche manager in 2006 and an area support manager in 2014. 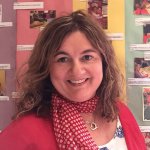 Andrea has extensive experience in the sector and is passionate about childcare and early education and loves to develop children’s creative skills. As a mum of 2 young boys herself, parent support and partnership are something Andrea really understands. Working with the area support managers to ensure staff have access to all the supports they require. HR lead our recruitment and retention of staff and work with local colleges to ensure that we recruit the very best talent from the childcare colleges. They also provide support with practitioner inductions, review meetings and career path planning. 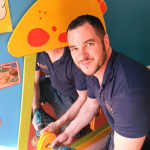 Alan ensures that all our crèches and outdoor play areas are all well maintained and safe for our children and staff. He works alongside Michael, who paints all the crèches regularly keeping everything bright, fresh and clean. The children all love Alan and sing ‘Bob the Builder’ whenever he visits the crèches!